Pangasius is also known by its Latin name, which is Pangasius hypophthalmus. The fish lives in the rivers Chao Phraya in Thailand and Mekong in Vietnam. Pangasius is considered as a really important fish for Vietnam. The country started farming the fish in the early ninety’s and the fish has been popular ever since. Nowadays Vietnam farms almost all the pangasius in the world. Our pangasius fillets are also made of pangasius which is farmed in the branches of the Mekong River in Vietnam. Pangasius fillets used to be a really popular product because of its cheap price and its neutral flavour. In fact, in the United States and in the Netherlands it used to be one of the best-selling fish products for a long time. The past few years farmed pangasius has received some critics however, which is why nowadays we also have ASC-certified pangasius fillets available. This certification means that the fish is sustainably farmed. As a supplier we sell our pangasius fillets skinless and boneless. We also have crispy pangasius fillets available at our ‘Added Value’-page. The pangasius is characterised by its dark to black fins. Younger pangasius have a shiny, iridescent colour, which is why the Americans call the fish iridescent shark. Pangasius fillets have a firm structure and a neutral flavour, which makes it easy to combine the fish with other food. One hundred grams of the fillets contain around 113 calories and only a bit of polyunsaturated and monounsaturated fat. The fish contain a bit of cholesterol and sodium too. Like every fish, pangasius fillets also contain a lot of protein. One hundred grams of pangasius fillets contain around nineteen grams of protein. 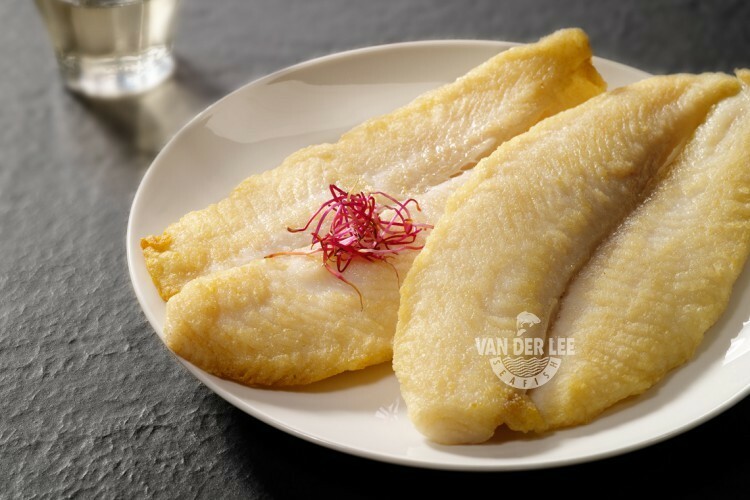 We mainly sell our pangasius fillets to retailers in the Netherlands or export them to retailers in France, but pangasius fillets can be found in almost every country. In the United States pangasius is sold under the name ‘swai’ and in Spain the fish is called ‘panga’. Pangasius fillets are often used as a snack or as a meal. For example, you can make pangasius rolls and fill them with salmon or you can put the fish on a skewer with some vegetables and grill it on the barbecue. Pangasius fillets are suitable for baking and poaching too. The fillets also taste delicious with rice, pasta or green leafy vegetables.